We were walking and chatting together on the bike path when we discovered that in recent months both of us had been dive-bombed by said birds (without any provocation our part, I might add). Daniel had been riding his bicycle and I was out for a jog, and apparently both of us got a little too close to Mama Blackbird’s nest. That’s when militant squawking ensued and there was some talon-to-head contact. Daniel handled things with his trademark unflappable calm, proceeding to simply ride faster and outpace the bird. I wish I could say the same for myself, but all the rush-hour commuters who witnessed my full-body flailing at the corner of Route 25 might tell you otherwise. Perhaps my bad experience with birds has tainted my view, but I have to admit I was a little surprised to find God compared to a bird several times in the book of Deuteronomy. God as a lion? No problem. A lamb? I can work with that. But a bird? 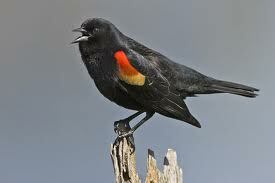 And suddenly I see the red-winged blackbird scenario from another angle. What if, instead of the one being dive-bombed, I were one of the babies in the nest? I have to admit that, personal biases aside, birds must be some of the most graceful animals—soaring, as they do, almost effortlessly through the sky. But when their little ones are in danger, watch out, because nothing is going to get in their way. Gratefully our God has both these sides to his own character. He rides across the heavens in majestic splendor, but at the same time, when his children are in trouble, he doesn’t hesitate to drive out the enemy before them. Every time I see a bird soaring through the sky, may it remind me of those everlasting arms that are under me. Those arms that are both graceful and protective. But in the meantime, I’m not taking any chances: you’ll find me on a different jogging trail from now on. If ever a man had a right to feel homeless, it was Moses. After being adopted by Pharaoh’s daughter as an infant, he spent most of his childhood separated from his family, his people, his culture. Then, as a young man, Moses was exiled out of Egypt and found himself setting up camp in yet another strange land. He was, without question, “a foreigner in a foreign land” (Exodus 2:22). After God got Moses’ attention in the form of a spontaneously combusting bush, Moses headed back to Egypt. But this was no nostalgic journey back to the homeland. Instead, he was there to do a jailbreak of sorts for his fellow Israelites, who were living as slaves under the harsh rule of the Egyptians. Once they’d made their break from Egypt, Moses again found himself homeless. But this time he wasn’t the only one without a forwarding address. He was in charge of several thousand people who quickly expressed their displeasure at their lack of four walls. For 40 years, they wandered through the wilderness, longing for a permanent place to call home. When I was in my early 20s I bought a place of my own, and let’s just say it fell into the “has potential” category. When I arrived on the day of the closing, I was shocked to discover that the family who lived there hadn’t packed the majority of their things yet. I wasn’t even able to get into the house until five hours after the agreed-upon time. Complicating matters, I’d closed on my old place the same day, so everything needed to be unloaded that night. At one moment, looking around at the filthy condo, still cluttered with the previous owners’ abandoned belongings, I despaired that this place would never feel like home. I took a breath and went from room to room, trying to size up what I was up against. My despair melted into humility and gratitude at what I saw. When I peeked into the bathroom, I noticed my aunt, her sleeves rolled up, scrubbing the upstairs toilet. Two of my friends were in the guest room, unloading box after box of books (and never once complaining about the ridiculous book-to-person ratio). My mom’s head was deep in the oven, muscling off a decade of grime and grease. My dad was carrying my fold-out couch up the stairs—the one that was so heavy he’d previously sworn he’d never move it again. My uncle was removing garbage bags full of trash left by the old owners. Another friend was on her way to get dinner for the whole crew. In that moment, I had a revelation. Home is not found in a place; it’s found in relationship. Even if I had nowhere to lay my head that night, I had home. It was written all over the faces of these people who loved me. At the end of his life, Moses was instructed by God to climb Mount Nebo. From there God showed him the Promised Land—the home his people had been longing for so many years. The Israelites would be able to enter, but Moses would only get to see it from afar (Deuteronomy 32:48-52). It seems heartbreaking to me, even a touch unfair, that this servant of God who had led the people so faithfully for decades wouldn’t be able to settle into this long-awaited homeland himself. But Moses knew better. He’d already discovered his true home. 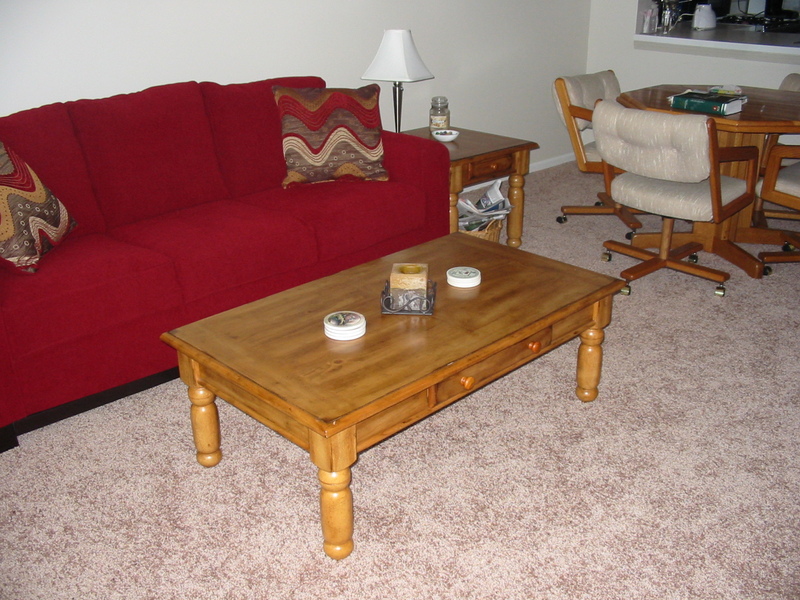 Eventually my condo did feel like home, thanks to the people who graced me on moving day and the ensuing days thereafter. But I hope I never forget that home, real home, is more than a mailing address. One of my earliest memories was something that happened when I was almost four years old, and it involves ice cream. Now before you conjure up an idyllic scene of childhood nostalgia, I should warn you that this isn’t, for the most part, a particularly sweet memory. My family was on vacation, and we’d stopped for ice cream, a rare treat for us since at that point in my life, Mom had me pretty much convinced that fruit constituted dessert. I remember standing on the porch outside the ice cream shop, licking my vanilla soft serve and lost in my own dream world. Meanwhile I must have been backing up, oblivious to the older gentleman behind me with a sundae in his hand, because before I knew it, I heard the sickening sound of ice cream hitting pavement. Then the man was yelling angry words, alternately at me and then at my parents. He had lost his ice cream, and he was demanding justice. I’ve often had trouble reconciling the Old Testament’s portrayal of God’s justice with the picture of grace painted in the New Testament. The book of Deuteronomy captures the idea of divine retribution in this often quoted verse: “You must show no pity for the guilty! Your rule should be life for life, eye for eye, tooth for tooth, hand for hand, foot for foot” (Deuteronomy 19:21). It makes sense that when a wrong has been done, payment is required. Things need to be made right again. But how does that jive with Jesus’ words in the New Testament that God is a God of love, that we should turn the other cheek? But if God is immutable, constant, unchanging, then clearly his character didn’t shift somewhere between Malachi and Matthew. Maybe what’s at issue here is my understanding of grace. Grace, upon closer examination, isn’t so much about letting other people off the hook (or getting off the hook ourselves). It doesn’t mean justice is negated. It means that the payment for a wrong is made by someone other than the one who owes the debt. At three and a half, I never would have been able to pay for the grumpy old man’s ice cream, even if I’d had access to all the pennies in my piggy bank. Fortunately, my dad took the man by the elbow, led him back into the shop, and bought him a replacement sundae. In doing so, Dad managed to fulfill both the law of justice and the demand of grace. The obligation for the ice cream was paid in full: an eye for an eye, or as they case may be, an ice cream for an ice cream. And I received the grace of having a debt covered on my behalf, by my father. That’s just what our heavenly Father has done for us through Christ: his eye for our eye, his tooth for our tooth, his hand for our hand, his foot for our foot. Paid in full. For all eternity.